(CNN) -- Terrence Malick's next project, "Knight of Cups," will apparently turn the filmmaker's lens on Hollywood itself. The first official trailer for the drama arrived online this week as "Knight of Cups" prepares to bow at the 2015 Berlin Film Festival. The movie was written and directed by Malick, and stars Christian Bale, Cate Blanchett and Natalie Portman. The plot has been kept largely under wraps, except for the vague understanding that it focuses on "celebrities and excess." The new two-minute trailer doesn't exactly expand on that concept, but it does give us a clearer picture of what to expect. We now know that Bale plays a man named Rick, who's adrift in life and has evidently lost his sense of self while becoming trapped in life's "excesses." Judging from the dialogue in the trailer, it isn't a stretch to imagine that the movie's set in the bubble of Hollywood: "See the palm trees? They tell you anything's possible," says one voice. "No one cares about reality anymore," chimes in another. The "Knight of Cups" clip also comes with an official synopsis, but it's as ethereally abstract as the trailer itself. "Once there was a young prince whose father, the king of the East, sent him down into Egypt to find a pearl. But when the prince arrived, the people poured him a cup. Drinking it, he forgot he was the son of a king, forgot about the pearl and fell into a deep sleep," the description says. "Rick's father used to read this story to him as a boy. The road to the East stretches out before him. Will he set forth?" 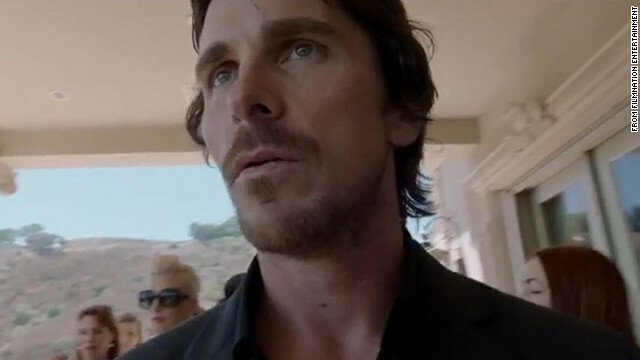 Malick's "Knight of Cups" is set to open in the U.S. in 2015.